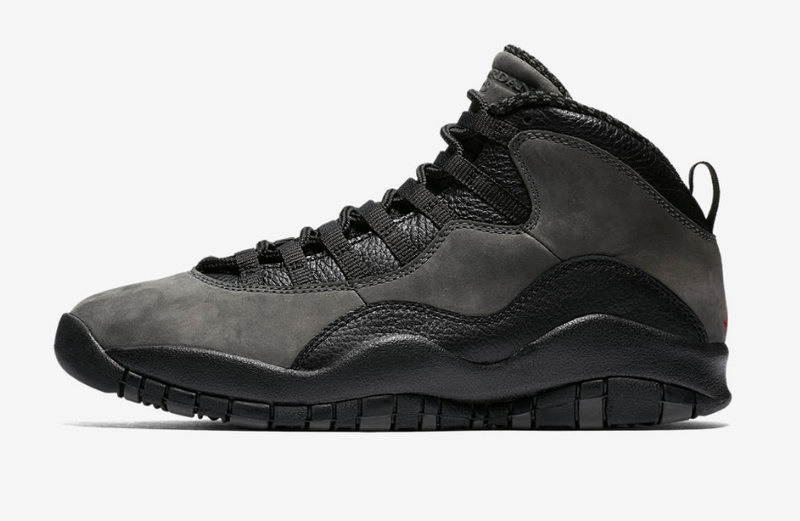 Releasing in 1994, the Jordan 10 was designed to celebrate the career of the GOAT following his first retirement from basketball. 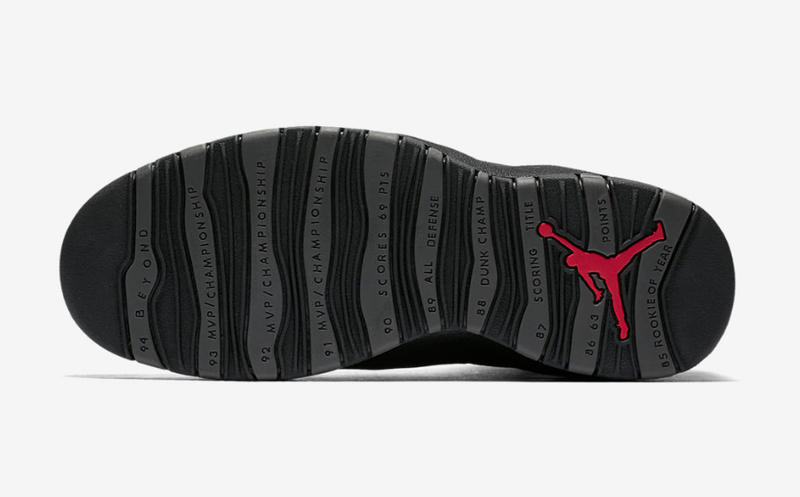 Tinker Hatfield designed this shoe with the expectation that ‘His Airness’ would never return to the hardwood, and he included Jordan’s career achievements on the outsole to pay homage. The original run came in 3 colourways (‘Steel’, ‘Powder Blue’, and ‘Dark Shadow’) followed by the ‘City Series’ which was championed by star players on various teams around the league. On the 18th March 1995, Michael Jordan announced his return to basketball with a two-word press release reading: “I’m back.” After working himself into shape during the regular season, Jordan continued the postseason team tradition of wearing black shoes as a symbol of camaraderie. 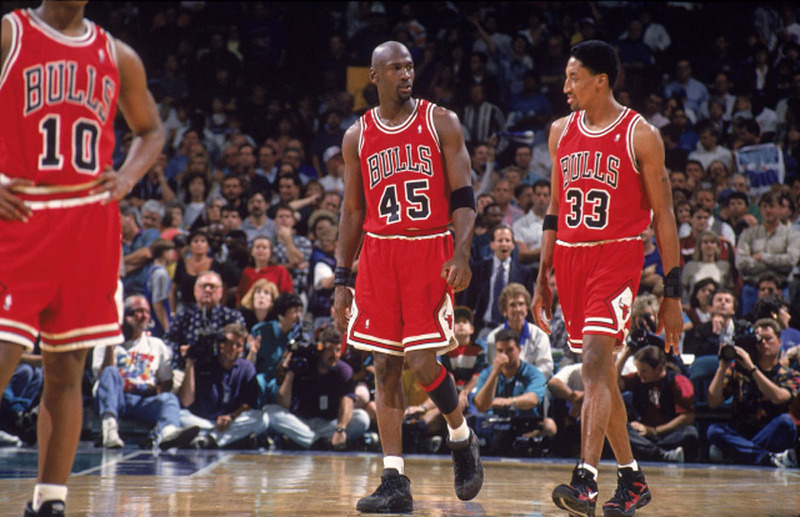 Entering the playoffs, Jordan donned a player edition of the ‘Dark Shadow’ model featuring the number 45 stitched into the collar. In Game 1 of the first round, Jordan dropped 48 points on Muggsy Bogues and the Charlotte Hornets, signifying his dominant return to the NBA playoffs. 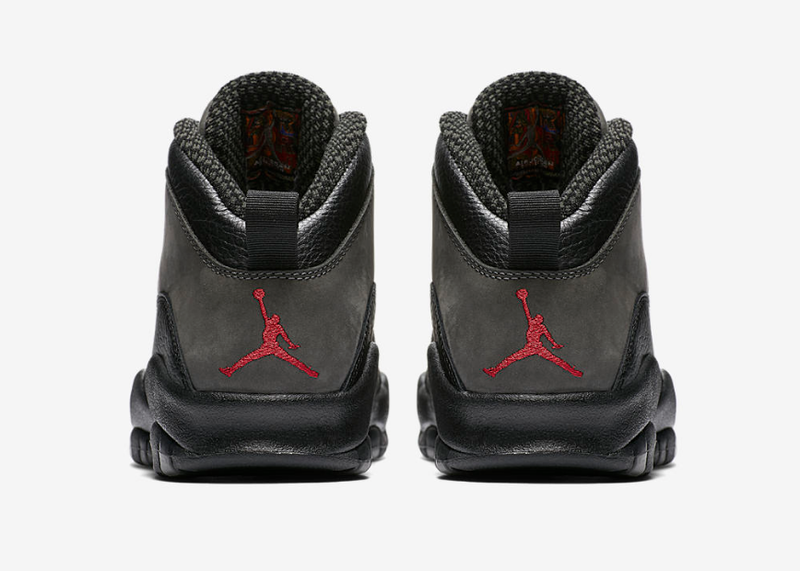 The 2008 Dark Shadow release, as part of the Countdown Pack (CDP), included an embroidered 23 as a tribute to the shoe he wore then. 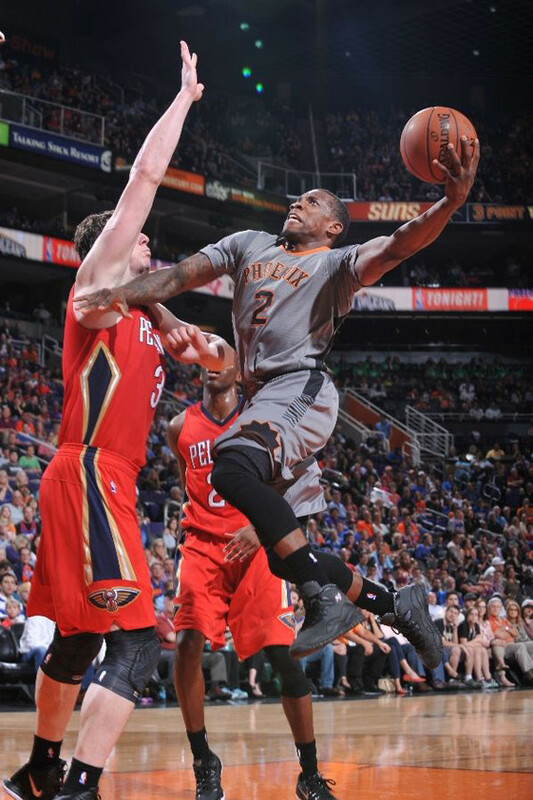 It has since been seen on the feet of prominent NBA sneakerheads Eric Bledsoe and PJ Tucker during their days together on the Phoenix Suns. 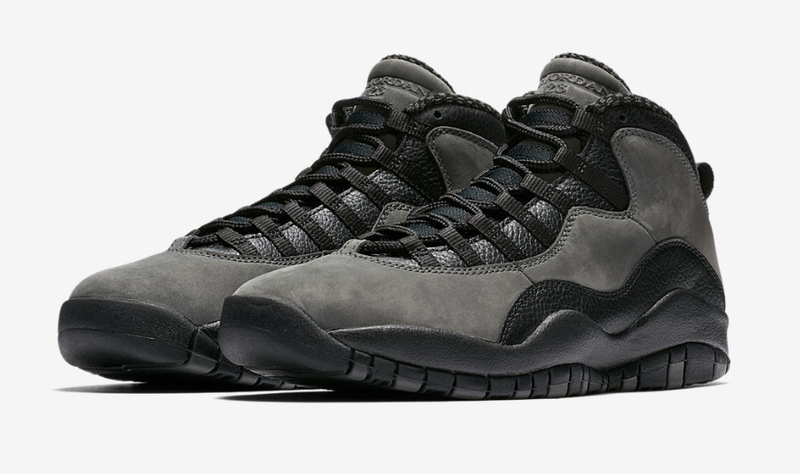 On Saturday, the Jordan 10 ‘Dark Shadow’ releases for the first time since 1994 in its original form, and as part of Jordan Brand’s ‘Retro Remaster initiative’, you can expect the same high quality materials and craftsmanship of the original run. 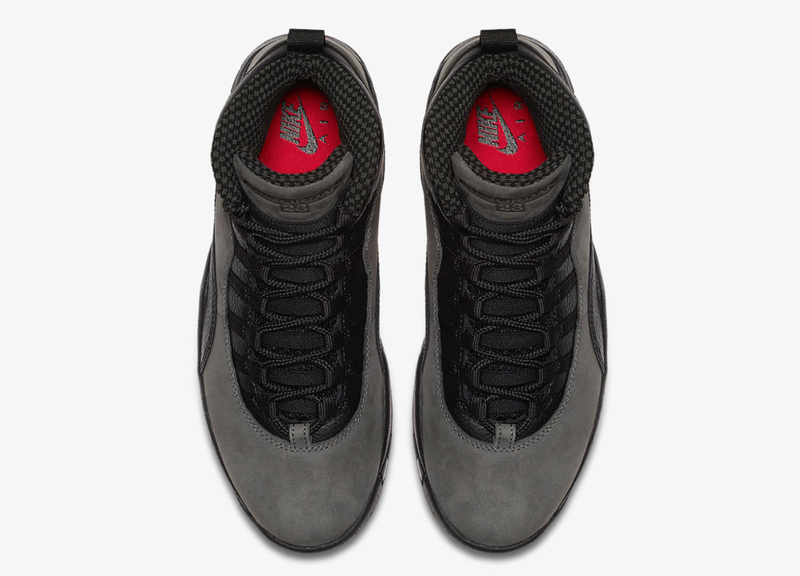 Featuring a soft grey nubuck construction, the shoe is accented with black tumbled leather hits on the lacestays, collar and lateral side. 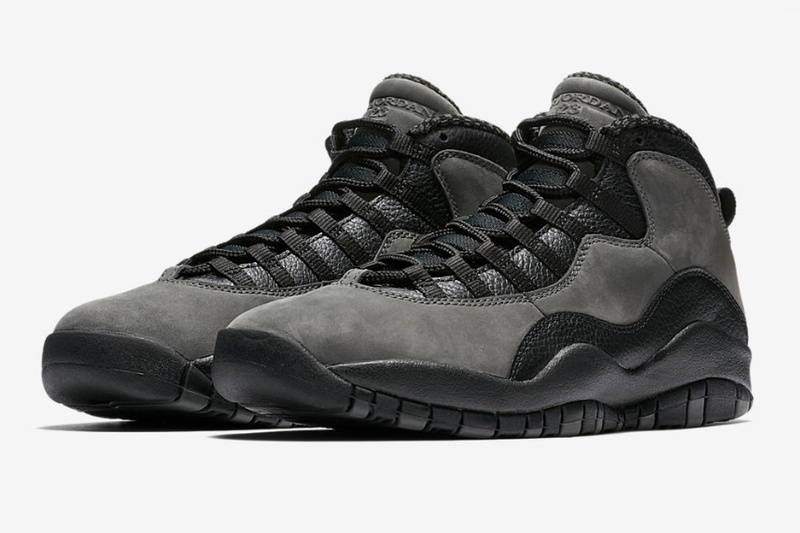 The Air Jordan 10 ‘Dark Shadow’ will be available online and in selected size? 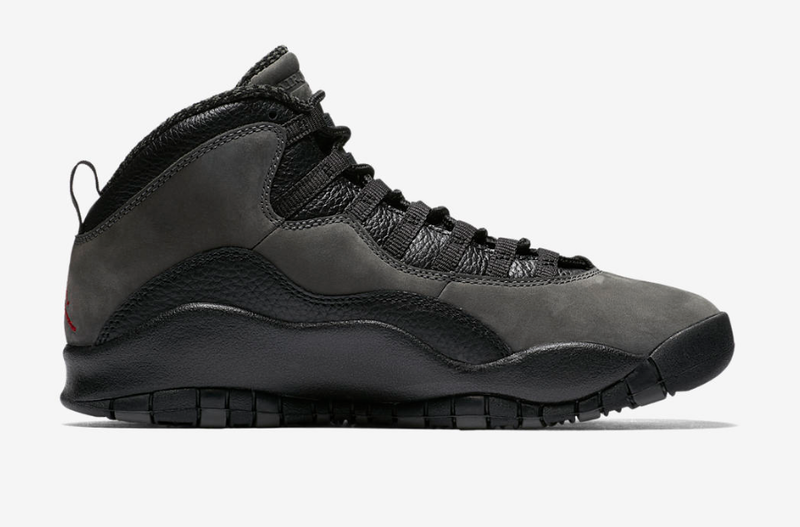 stores on Saturday 21st April, priced at £165.